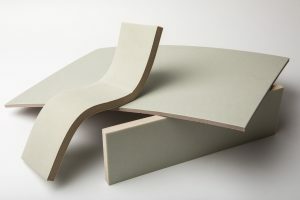 Polyurethane foam innovator and producer of flame-retardant, lightweighting core materials for aerospace applications will also present its expanded production capabilities and dielectric foam series for radio-frequency applications. General Plastics’ solid track record for producing custom aircraft interior components include honeycomb panel edge close-out and foam core materials for aircraft interiors such as sandwich core for ceiling, wall, door and cabin class divider panels, stow bins, and decorative flyaway parts and edge closeouts. Expo participants will have the opportunity to see samples of finished products, including sophisticated assemblies that can be delivered ready to install. The LAST-A-FOAM® FR-3800 FST rigid foam series satisfies fire, smoke and toxicity requirements and the need for light weighting in commercial aerospace interiors. This composite core material is an ideal high-performance, low-cost replacement for expensive raw materials while addressing needs for design flexibility, safety, and physical properties. It replaces honeycomb within decorative, nonstructural panels and is an ideal substitute for decorative aluminum molded parts. In addition to their flammability and strength-to-weight properties, these halogen-free foams machine easily, bond securely with composite skins, and are thermoformable. Samples of General Plastics’ custom molded parts will also be on-hand. These are produced from flame-retardant, self-extinguishing, self-skinning flexible polyurethane foam materials that can be shaped, textured and color-specified to accommodate customers’ requirements. Within the aerospace industry alone, these build-to-print parts serve as flight deck components, armrest pads, bin-to-bin closeout seals and header seals. The new LAST-A-FOAM® RF-2200 Dielectric Foam Series was designed and fully characterized to provide electrically insulating, RF-transparent protection for antennas and communications systems. Its high Tg (exceeding 350º) accommodates the thermal curing processes and BMI resins typically used for composite prepregs. Further, the material remains dimensionally stable and does not absorb water, preserving its dielectric performance even under harsh conditions. The standard low densities (3, 4 and 6 pcf) are easy to machine, maneuver and process; customers may specify other densities to satisfy their particular requirements. From small to large runs of specialty parts for OEM and Tier 1 and Tier 2 parts programs, General Plastics offers extensive in-house production capabilities. 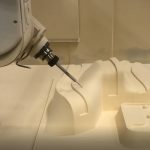 Its one-stop services include part and tool design to manufacture of mold tooling, 5-axis CNC machining, and production of parts through all phases to delivery, regardless of whether they are produced from molded or machined foam. Aircraft Interiors Expo attendees will have the ability to see how they can streamline their manufacturing processes and meet their schedules while removing excess costs from their supply chain.